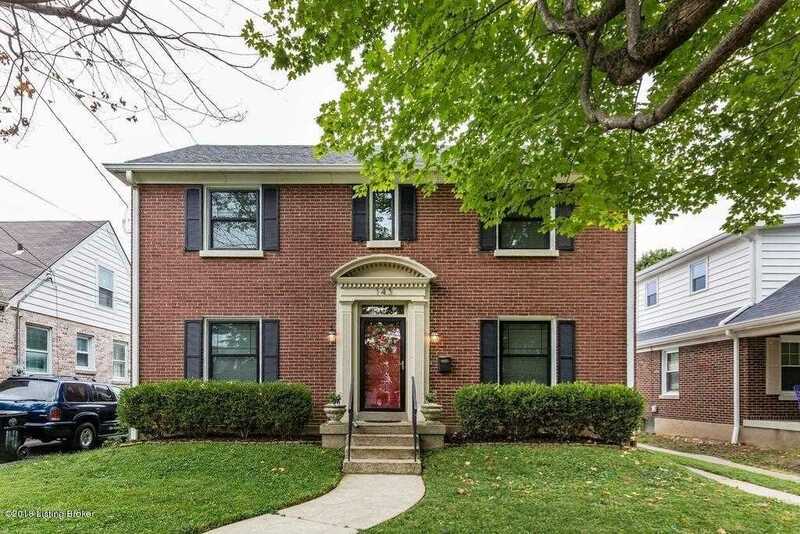 Updated, charming brick Colonial off Frankfort close to Crescent Hill and St. Matthews shopping and restaurants, on a quiet street just blocks from Sacred Heart School, and Seneca Park. The beautifully remodeled island kitchen is totally open to the dining area. Hardwood floors upstairs and down, replacement windows throughout, newer exterior shutters. The kitchen and sun room off the living room both open to the patio and large, fenced, flat backyard. Three bedrooms and updated, bath with original black and white tile floor upstairs. And there's a perfect spot to add a half bath on the first floor. The bright, full basement has steps up to the patio. Ready for you to move right in! SchoolsClick map icons below to view information for schools near 143 S Crestmoor Ave Louisville, KY 40206. Home for sale at 143 S Crestmoor Ave Louisville, KY 40206. Description: The home at 143 S Crestmoor Ave Louisville, KY 40206 with the MLS Number 1497610 is currently listed at $308,000 and has been on the Louisville market for 406 days. You are viewing the MLS property details of the home for sale at 143 S Crestmoor Ave Louisville, KY 40206, which is located in the Crestmoor subdivision, includes 3 bedrooms and 1 bathrooms, and has approximately 1680 sq.ft. of living area.